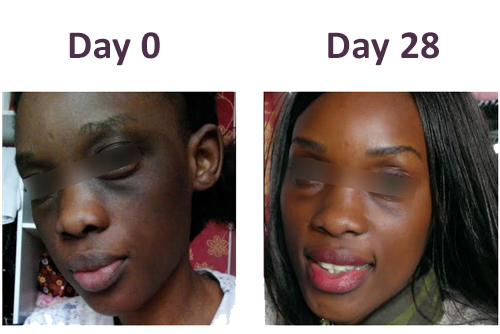 OYA Blog > Testimonials > I felt younger and more confident! I felt younger and more confident! Lovado L.: “I’m writing this short passage to express my utter joy after 3 years of pure suffering. My testimonial will be a little long but for all the right reasons. My words cannot do justice to the results I saw, but they can speak of all that happened before, since lots of other people are in the same situation as me and have not yet found a solution. Myself, I found it because I believed in the testimonials that I read on the IN’OYA website. 3 years ago I was using lightening creams, ignorantly of the consequences. After I stopped using these creams, I found I had spots concentrated around the eye area and on my cheeks. I couldn’t tolerate this and I went to see a dermatologist who didn’t know what to do and simply told me to hydrate my skin and recommended various creams to me: cicalfate etc... I don’t remember the other cream exactly. Nothing changed and I became more and more disheartened. I had suddenly aged by 8 years. I could see myself being pointed out. I couldn’t be around people and I retreated into myself. A huge complex had taken over, to the point where a simple look from a stranger would send me into a state. 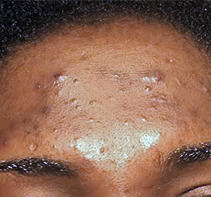 With the determination of my friends, I went to see another dermatologist, who told me that my case was unique and that I needed to see an aesthetician. When I saw the aesthetician there was still no solution. She took photos of me and told me that I would be contacted in 2 weeks after she discussed my case with other aestheticians, but there was no call. I went through some difficult times. The mirror was my greatest enemy and my tears were my comfort. But during these tough times I was hooked on Google and YouTube, always trying to find a solution. I was making my own lotion from lemon, believing I could find a solution, but I quickly realised that it was in vain when my skin became very dry. Then one day I discovered the MEL’OYA® Correcting Serum, I wasn’t interested at first, because I had no trust left due to all the products I had tried that didn’t help me. I ignored it and I relied on lemon-based lotions only, which my skin couldn’t cope with, so I allowed myself to revisit the IN’OYA website. 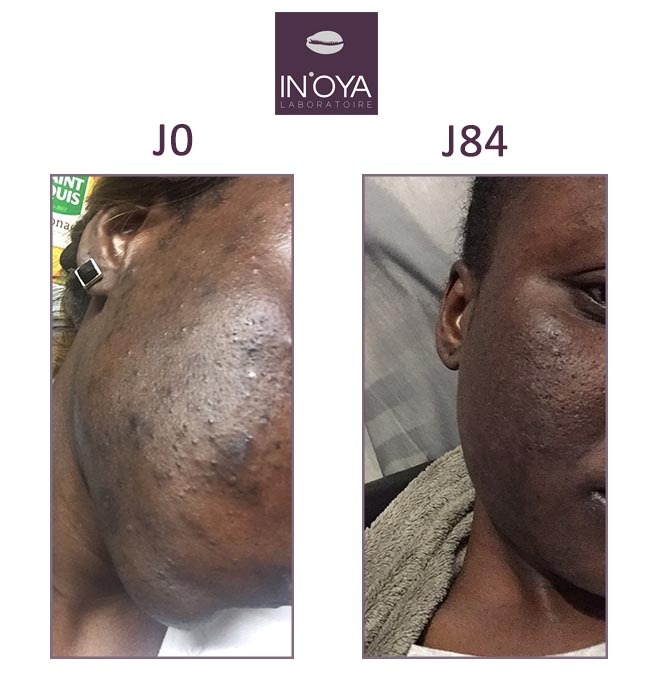 So I contacted the IN’OYA team, and then an agreement was sent to me so that I could start my treatment (the Correcting Serum and the Corrector Unifying Matyifying). I began my treatment on the 11th October and after just 8 weeks A MIRACLE HAD HAPPENED! It was a true MIRACLE for me because everyone was so surprised to see such a change, I was rejuvenated and I felt so confident in myself! After 1 month of treatment, on the 11th September I was enthusiastic to see what the people in my class would say to me. They all said the same thing: “You look beautiful". Everyone said it. Je trouve ma peau plus lisse, teint plus éclatant, après 4 semaines d utilisation.